At the law offices of Iler & Iler, LLP, located in San Diego, California, we have represented clients throughout the San Diego area for more than 25 years. We assist those who have been seriously injured or lost a loved one in a car accident, motorcycle crash or other incident involving the negligence of another. Our firm also handles the wrongful denial of home, auto, life, health and disability insurance claims. Serious injury matters call for experienced, compassionate legal representation. Contact Iler & Iler, LLP now to help protect your rights and maximize your recovery. You pay no attorney fees unless we settle your personal injury or wrongful death case. Our firm is focused almost entirely on the practice of personal injury & disability law. We feel this approach enables us to take a very active role in the management of our clients’ cases and not become overwhelmed by an unmanageable caseload. We always make sure to keep our clients fully informed of any developments in their case. Rest assured when you call the firm to discuss your case, you will talk to an attorney every time. Whether you feel you have a bad faith insurance claim or you want to ensure that you are receiving the proper medical care for your injury, we can help. 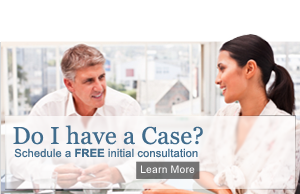 Contact Iler & Iler, LLP to schedule a FREE initial consultation to discuss your potential case.